The markets have finished up over the past week with the S&P 500 up 0.1%, the Dow Jones up 0.18%, international stocks (EAFE) down -0.03% and US Aggregate Bonds down -0.19%. Top asset classes for the past week include Oil (9.36%), Energy (5.49%), and Argentina (4.52%). Bottom asset classes for the past week include Nat. Gas (-4.47%), Utilities (-3.69%), and US Real Estate (-3.05%). 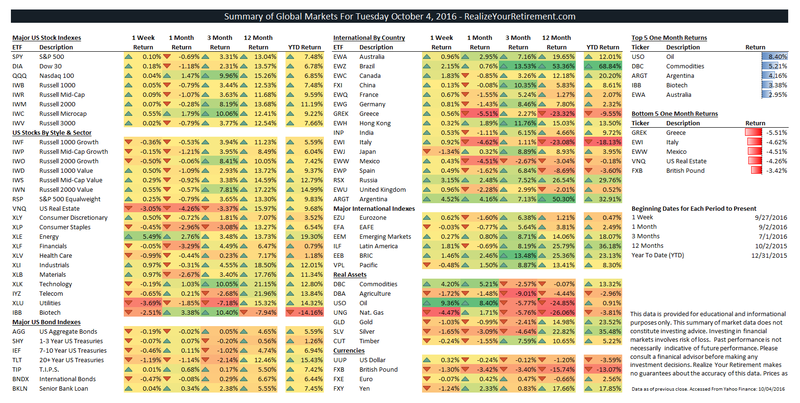 Top asset classes for the past month include Oil (8.4%), Commodities (5.21%), and Argentina (4.16%). Bottom asset classes for the past month include Greece (-5.51%), Italy (-4.62%), and Mexico (-4.51%). 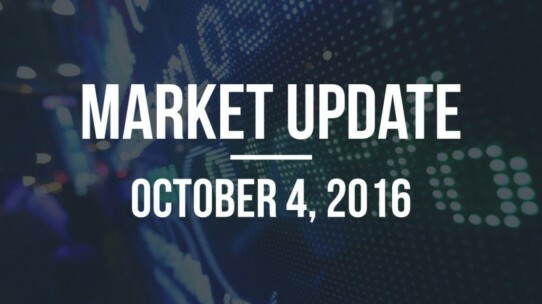 US markets were fairly flat over this past week, with the Energy sector by far leading other sectors in the markets with a 5.49% gain. This was largely due to optimism over OPEC oil productions cuts and the subsequent gains in oil prices that are assumed to follow. International stocks fared far better over the past week. Of international markets, emerging markets were the standouts with Argentina (4.52%), Russia (4.15%), and Brazil (2.96%) rallying the most. Bond classes mostly fell over the past week. Out of the core bond asset classes, 20+ Year Treasuries (-1.19%), International Bonds (-0.47%), and 7-10 Year Treasuries (-0.47%) had the lowest returns.